Really excited to have achieved a Gold Award this month in the Societies Monthly International Competition. Such a happy little dog and we had great fun in the studio getting her to stay in the basket and also get the head tilt. She came with a couple of her collie friends and the image I entered into the Monochrome category got a Highly Commended. Was it only four months ago that I shared some images of my lovely new Mini American Shepherd – Dash… how did he grow so quickly… cruel how we are cheated so quickly from all that gorgeous puppy awesomeness! As puppies go he has been a star. Only a little whimper for the first few night and very quickly house trained. He has become best buddies with my other Shepherd, Buzz and even Maya my collie likes him a little. Buzz is still trying to gain her affections but doesn’t realise that trying to plant kisses on her every morning will not win her over! Dash is not backwards at coming forward, he enjoyed his two puppy socialisation classes where we realised that bouncy puppies are not something that he is keen on and he can have a little temper when confronted by bounciness! Can’t say I would be too happy if a stranger came running up to me and started jumping all over me. We have gone through the weird ear phase but they have now settled down but he has had a few different looks. He has been a joy to train and once we get over the initial excitement that training involves food, and food is something that Dash is very keen on and is very vocal about letting me know this at feed time! We have already started our agility training. Lots of fun games at the moment and just working with poles on the ground and learning our left from right and he has a fantastic wait which will be a great help once we start competing. Apart from his agility he loves to snooze, more so now that the weather has turned wet and nasty. Getting up in the morning is hard, we would rather snuggle into Maya’s bed than go out for a walk and getting our feet wet is not something we like to do and will avoid going out to do what little pups need to do until physically taken! He will then tiptoe around and walk like John Wayne! So we continue our journey together learning new things every day, having lots of kisses and cuddles and he has grown into quite a Dashing young fella. 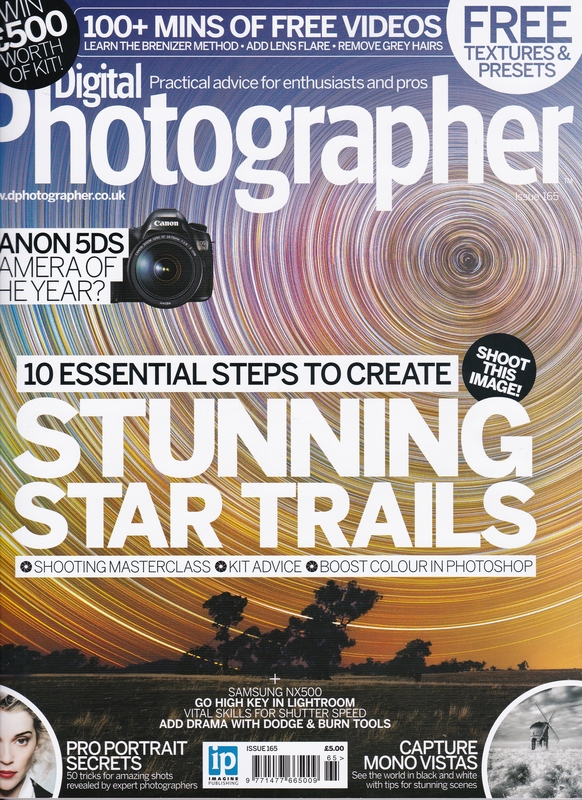 It’s always exciting when you get an image published and this month I had an image published in the Digital Photographer Magazine with one of my Pet Portraits. 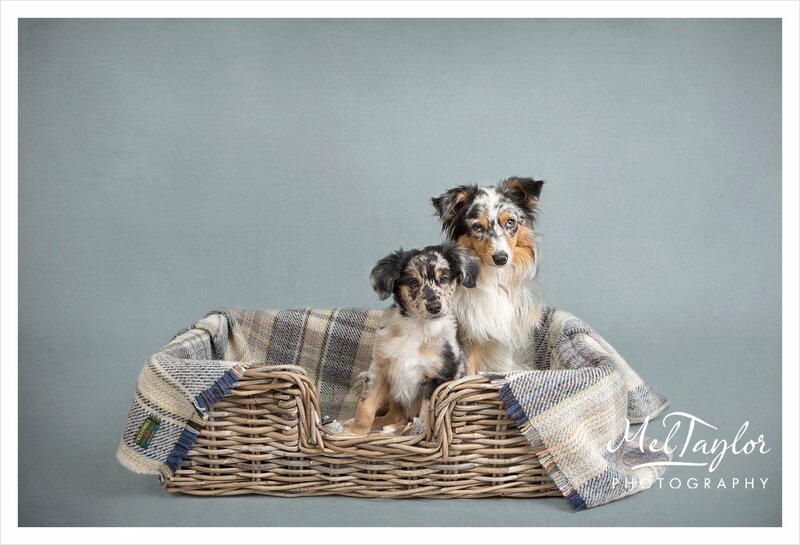 The image is of Dash and Buzz, both are Mini American Shepherd Dogs, bred by Basileas Miniature American Shepherds. More information on the breed can be found on the Breed Website. http://www.mascgb.co.uk. The Miniature American Shepherd is a small size herding dog that originated in the United States. These two gorgeous guys I am proud to say are mine. Buzz in a year old now and Dash is now 18 weeks which is a about two months since the image was taken. They both have the most wonderful temperaments, are very keen to learn and like to be kept busy. They have become best buddies and play all day and snuggle up together at rest time.